I have been working for MonotaRO as a data scientist since May 2017. Our group, the data analysis group, is in charge of research and development tasks regarding product search, recommendation, marketing optimization problems, and so on. WSDM(pronounced "wisdom") publishes papers on practical yet principled novel models of search and data mining, algorithm design and analysis. In order to study state-of-the-art techniques on search and data mining, a couple of our team members join the WSDM conference every year. 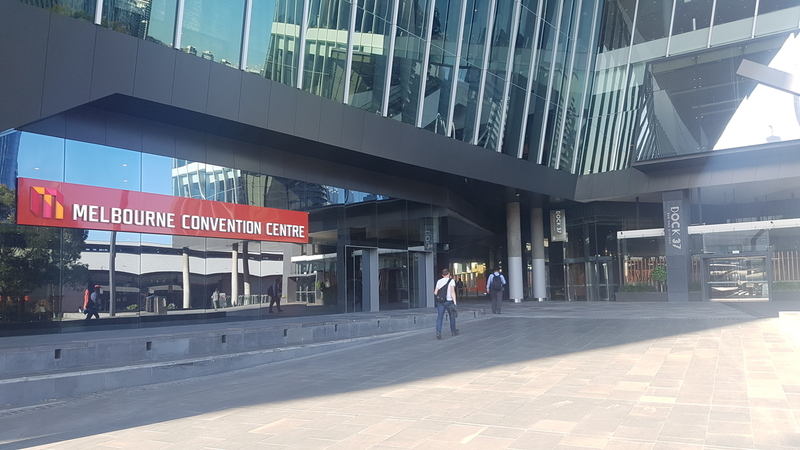 This year, 2 team members(including me) participated in the WSDM 2019 conference held at Melbourne, Australia in February. We learned a lot from top researchers and also enjoyed the half-day city tour. Now, let me introduce the WSDM2019! The number of accepted papers is 84 and the acceptance rate is 16.4%(84/511). Among the research papers, I want to introduce 2 papers that I was interested in. This paper is on the Recommender system from a Google researcher(YouTube). As a passionate user for Youtube, I’ve been curious about how the YouTube’s recommender system works and what kind of researchhas been going on. They introduced reinforcement learning based recommender system where an agent can generate the recommendable video clips to the corresponding user(personalized recommendation). They added a long-term reward(decreasing as time goes by) to take into account the user’s long-term preferences and avoid short-term click-based recommendations. They regarded the clicks of the [recommended video clips, thumbs-up button, subscribe the channel] as a reward of the agent. The point is that they introduced the off-policy correction to remove the agent’s behavior policy skewness according to the actions. Regarding the skewness, please refer to the “Simulations” part of the poster. My research specialty is NLP and I have been in charge of review-related tasks since I joined MonotaRO. Therefore, I talked with the presentator quite long time how they figured out and solved the difficulties that we also had. This paper is provided by Alibaba Group(co-work with Wuhan University), which is the most influential Chinese e-commerce company. The objective is a generation of the appropriate answer of a question from customer reviews. They compute the word mover’s distance(provided by gensim) of question and reviews to collect a bunch of question-related reviews. The point is that they introduced pos tag embedding(tx_i) and position embedding(p_i) when they formulate the question vector. As to a model, they adopted the multi-layer gated convolutional network architecture for answer generation that was released by Google in 2017. 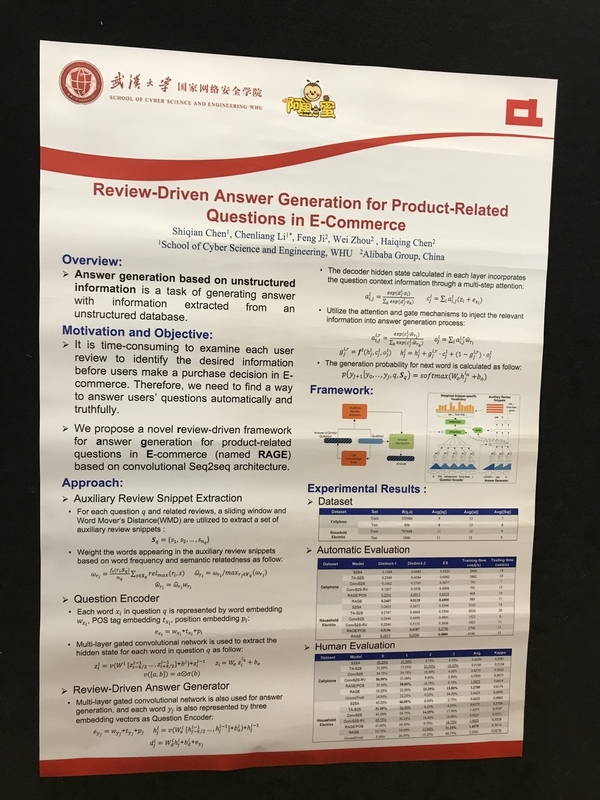 Since there are a lot of customer reviews in our site, we also want to develop a question answering system to help our users find information efficiently. Welcome reception(1st day) was held at a pub, Munich Brauhaus, near the Melbourne Convention Center(2minutes by foot). Since the pub is located nearby the Yarra river, conference registrators could enjoy the beautiful night river view. The pub is a standing bar, hence, we could freely communicate with each other while enjoying nice Australian food and beer. 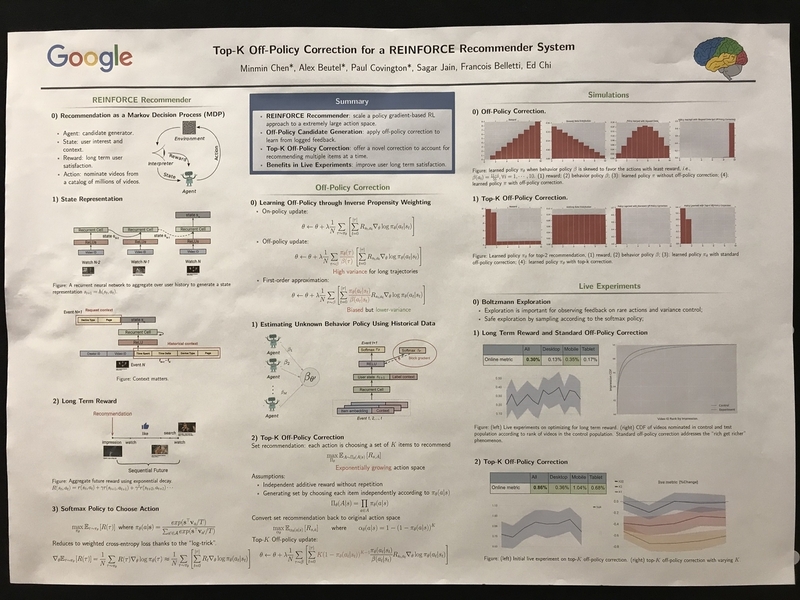 Especially, it was great that I could talk with one of the presenters at the reception, who is a recommendation researcher from Google since we are considering introducing reinforcement learning in our product recommendation system. I had a great time the first day in Melbourne. 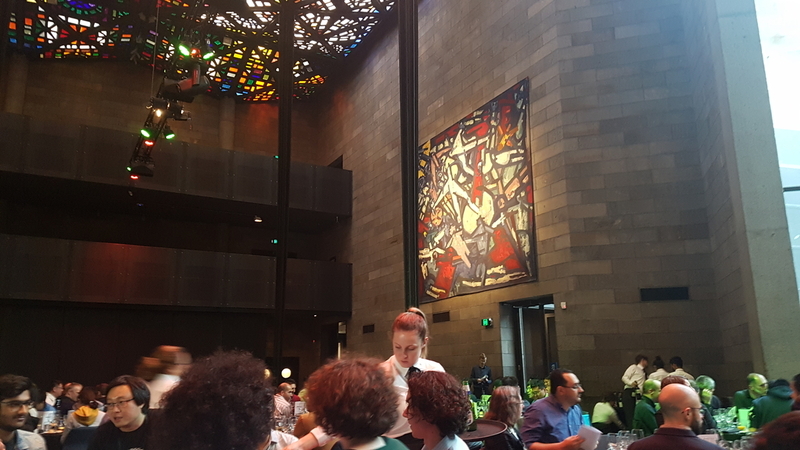 About the conference banquet, it took place at the National Gallery of Victoria(NGV) on Thursday evening. The NGV is Australia's oldest, largest and most visited art museum. The menu was European-style course meal and Australian beef steak was served as a main dish. I had an opportunity to talk with Korean researchers from online game company, based on Korea. I heard that many companies have invested in NLP-related research during the last few years. They also have recently been studying the chat in the game. I was grateful that I could communicate with people who are engaged in similar interesting areas of research while enjoying the lovely food. While I joined conference, I shared ideas with the leading researchers and felt motivated to introduce the state-of-art techniques in our tasks. There were a lot of researchers from e-commerce company. As I am working in e-commerce area, it was advantageous for me to share the common problems. Furthermore, I have confirmed that our research topics are on the main stream. There are several research papers to fit our research topics. Especially, I want to research more regarding the position bias problem in the search ranking algorithm, and Q&A generation system. In technical part, I will study more about transfer learning to handle the data sparsity problem and attention mechanism. If you are interested in machine learning and data mining, please join us at MonotaRO!